The impression has a maximum size of 75 x 38 mm, which offers plenty of space for your address, contact information, email and/or website. This versatile stamp is commonly used in the office or at home, but is widely liked for office applications. The production is climate-neutral with maximum possible use of recycled plastic and compensation of unavoidable CO22 footprint by investment in climate protection projects. Suitable replacement pads 6/4926 are available in black, blue, red, green or violet. Dry felt pads are suitable for special inks. They are packed in 2 pieces in a convenient blister. 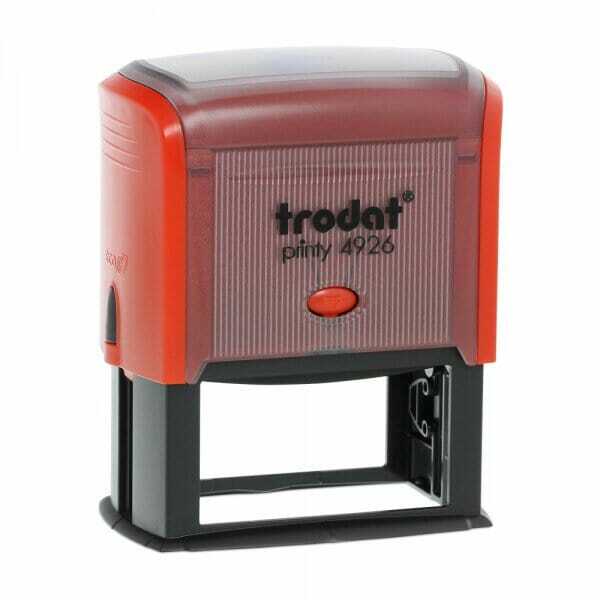 Customer evaluation for "Trodat Printy 4926 75 x 38 mm - 8 lines"